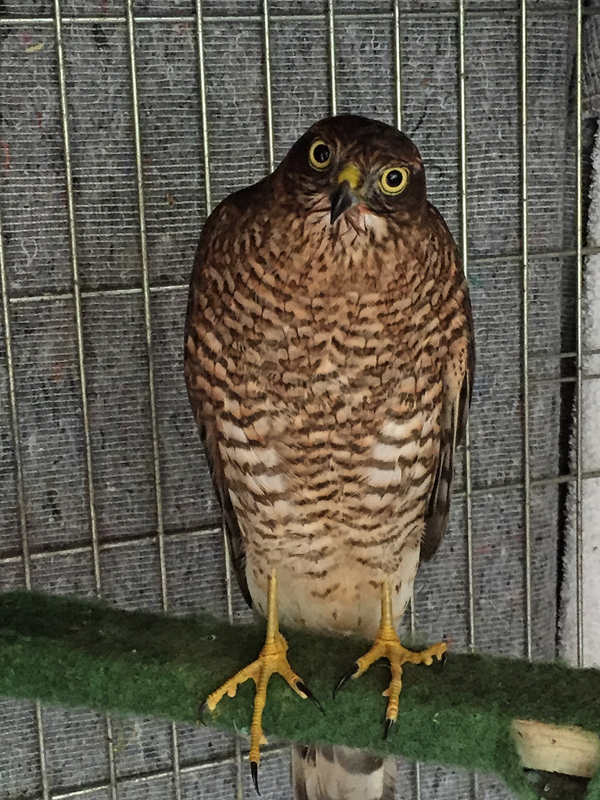 Amaya is an immature female sparrowhawk, who suffered a severe impact trauma. She has been found unconscious after flying into a window, presumably whilst chasing her prey. Although she regained consciousness quickly, she was unable to fly off by her own. 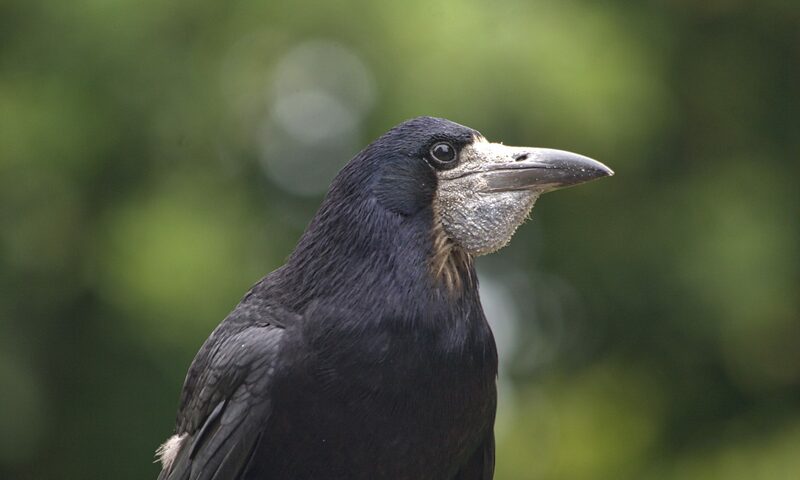 In cases like Amaya’s, where there was a witnessed loss of consciousness, it is strongly advised not to release the bird immediately, but to monitor the situation for at least 24 hours before even considering a release. In Amaya’s case, the admission assessment revealed typical signs of a severe concussion and a mild spinal contusion, but also a marked haematoma around her right shoulder girdle. 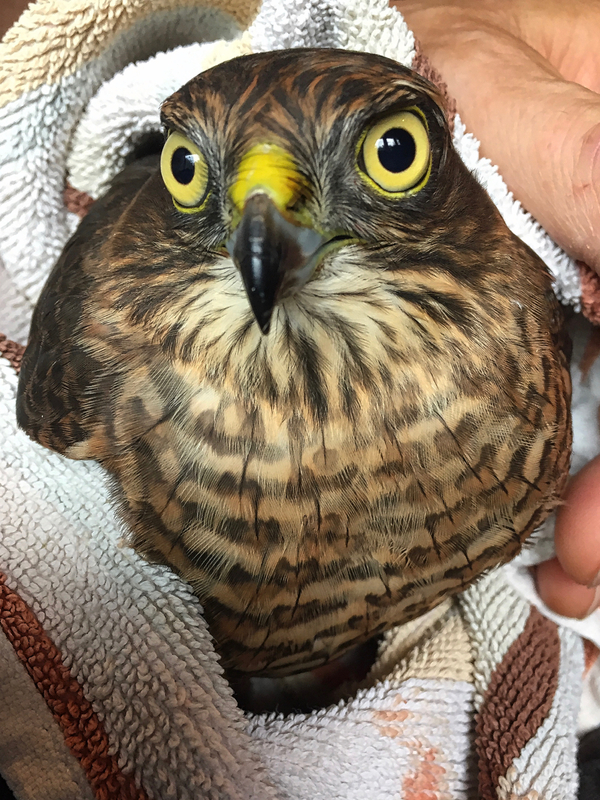 Sparrowhawks are very instinct driven bird, and as such will not learn quickly to adapt to new situations like being held captive. These birds react to stimuli without thinking, so one has to make sure that these birds cannot injure themselves whilst being in captivity. For this species specific reason, but also due to her brain injury, Amaya has been transferred immediately into a quit and slightly darkened hospital box, where she could rest undisturbed. This dark and quiet hospital box is very important for the recovery, as this can prevent convulsions induced by the trauma. If the bird is restless, it might also be sometimes necessary to apply a tail sheath or guard, which will be fitted to protect the tail feathers. To get a sparrowhawk started on food can sometimes be difficult. Sparrowhawks seem to have a fairly set “idea” of what their food has to look like. Therefore these birds need usually to be force-fed to start with, which may include tube feeding of a specifically design liquid raptor diet, a step being particularly important during the acute phase of the disease. Luckily Amaya suffered only a mild concussion and recovered quickly. Against one’s expectations, she also adapted well to the new situation and accepted her first assisted feed the next morning. Amaya made a very good recovery from her traumatic injury to brain and spine. 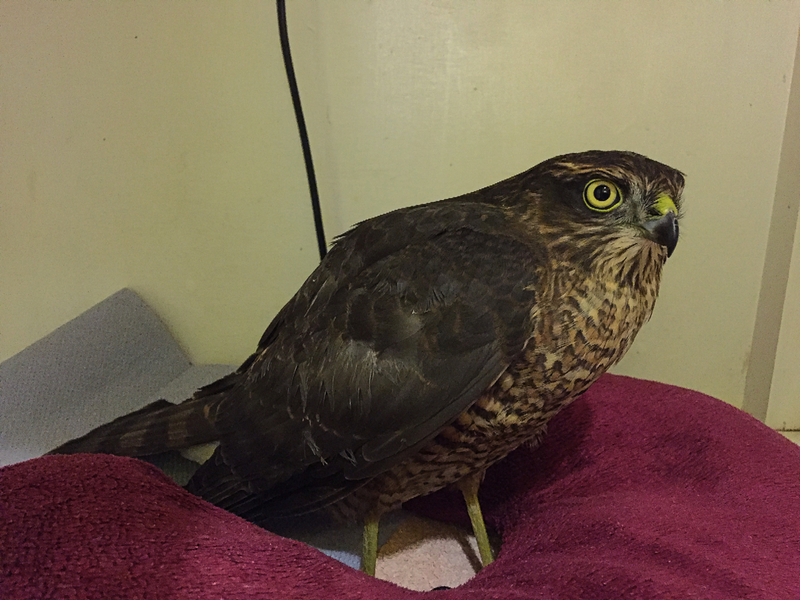 However, as she wasn’t using her bruised wing sufficiently enough to be released soon, the decision has been made to transfer her into the care of experienced falconer Charlie Rolle of South Coast Falconry, who has today kindly taken over her care and is providing a flight aviary, where Amaya can exercise and strengthen her flight muscles, before eventually being released. Thank you very much Charlie for your help and continued support! 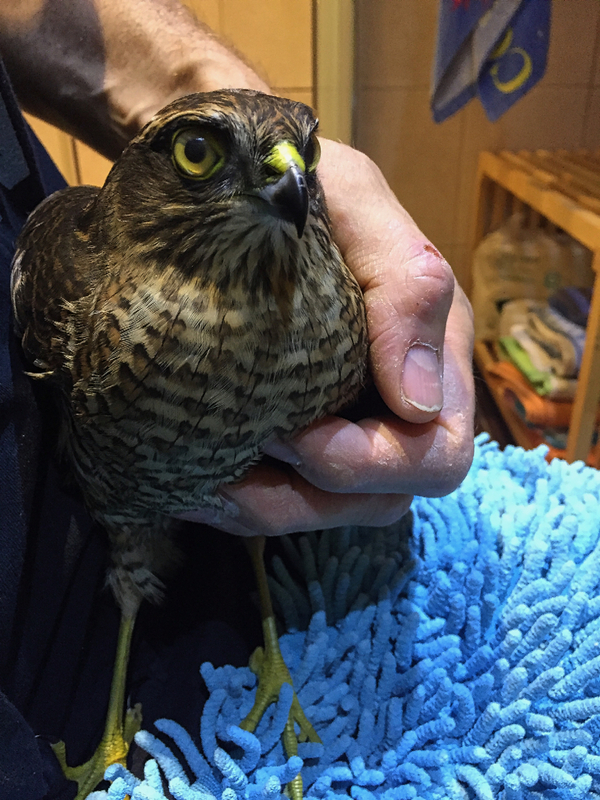 Today sparrowhawk Amaya has been successfully released. Stay safe Amaya!